I am new to posting here forgive me if I leave something out. Anyway I just downloaded the latest version of ReShade to use with Masseffect Andromedia installed it using the launcher by pointing to the file location and selecting Direct 3D 10+ but once I did the game fails to launch period. 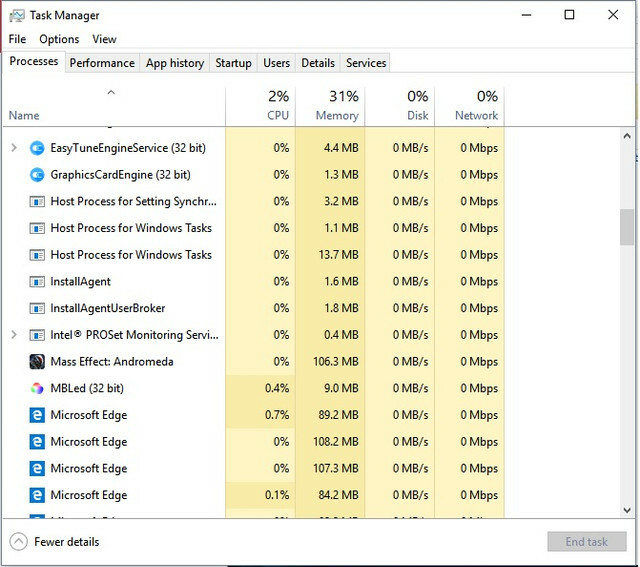 It shows up in task manager under background processes (see picture) but that is about all that happens.